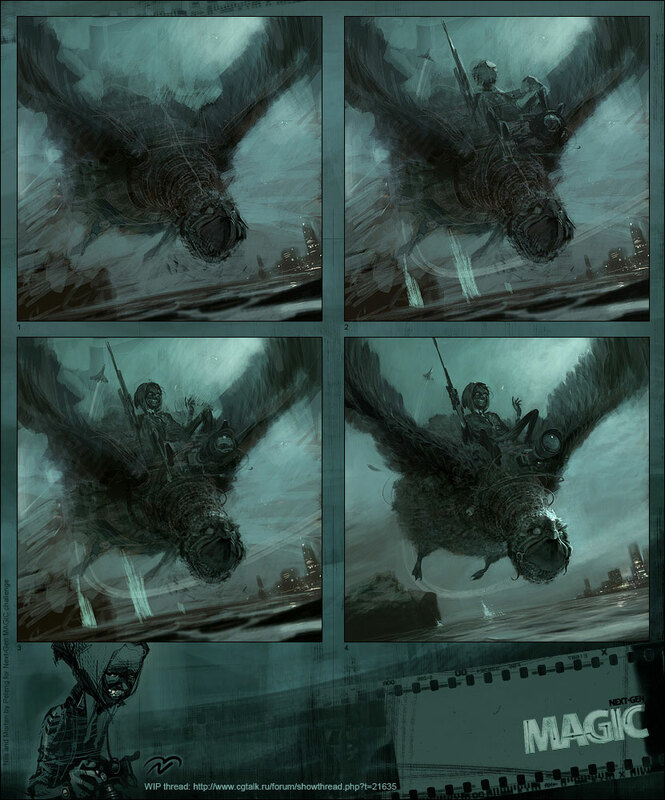 Sergey Kolesov (aka Peleng) is a photoshop powered artist who I just wanted to highlight quickly because of this image ‘Nils and Morten’ which was his entry for the Next-Gen Magic challenge on cgtalk.ru. There is alot that I really like about this piece, the characters and execution have a wild, zany feel to them. 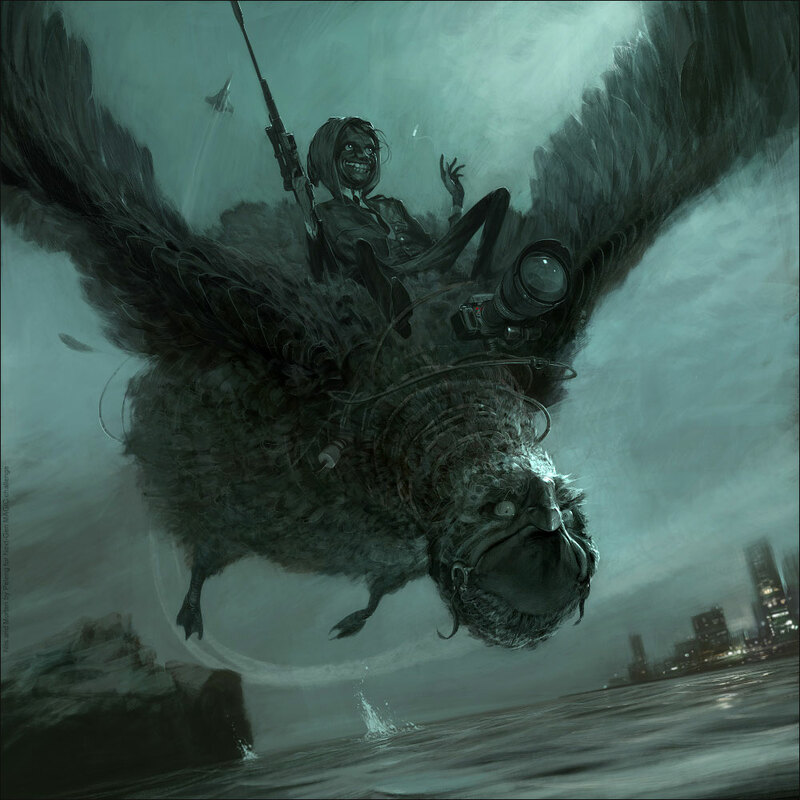 When I first saw the pic I thought the giant bird had a little nose and a mouth full of wild grinning teeth (much like the rider). It was only late that I saw the nose was the beak tip – I like my initial interpretation better actually, extra manic. The other reason I wanted to post Peleng’s work here was that he has a few vids capturing his creations, I love seeing this sort of thing and these vids show off his craft (even if he didnt give us the commentary over the top). I like these two, go here for more.